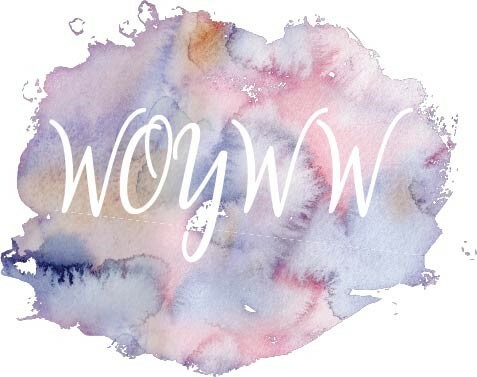 Sarah's Craft Shed: W is for Water colours and Water soluble oil pastels! The first ATC is called W is for Willow. I started by stamping the latest stamp from the monthly Claritystamp New Design Club onto a piece of Sheena's stamping card (3.5" x 2.5"). The ink used was Onyx Black Versafine ink and the image was heat embossed in clear EP. I painted a background using various paints from my Van Gogh water colour set. I then added water soluble oil pastels from Royal Talens in the same shades, blending them out with a water brush. The lower case 'W' from the Word Chain Alphabet set from Claritystamp was added in the same way as the willow tree. I finished by adding the words using a fine black Posca pen. The second ATC is W is for Words. I started by adding a wash of watercolour over another ATC blank. Once again, I blended water soluble oil pastels over the top. This time I just used my fingers for blending and didn't add any more water. I used letters from the Word Chain Alphabet (Claritystamp) to add words starting with 'W', stamping in Onyx Black Versafine ink and heat embossing with clear EP. I chose not to add any further explanation. The third ATC represents W is for windmill. I started by stamping and heat embossing the windmill from the Wee Farm stamp set by Claritystamp onto a third ATC blank. Once again, I used the Van Gogh water colours for the first layer of colour. Followed by blending water soluble oil pastels over the top for a more intense finish. then finished off with the same Posca pen as before. It is not very often that the theme of a swap fits both the stamps and the media that I use. I look forward to seeing what the post brings from my swap partner and what next month's prompt will be.